Beeston Civic Society is proud to present the Heritage Open Days booklet. You can find it on the link below as a PDF download. It is also available in physical format for free from many local places such as Beeston Library. Professor Beckett and audience at the start of the guided walk this Sunday, 22nd June 2014. No need to book! – Just come along! I have some very important news about an Inquest due to begin tomorrow into the death of Stapleford man, John McGrath. I have written a long piece which I hope you will read. There is quite a mixed bag of news, diary events and a fond farewell in the “and finally….”. Congratulations to Marion Wallwork one of our Founder Members who was awarded The British Empire Medal in the Queens Birthday Honours for Voluntary Service to Heritage in the National Trust in the East Midlands and in the Beeston and District Civic Society. Twitter is the ‘micro-blogging' site where you can post comments of 140 characters or less. Tram News and Beeston is the place to live! Extra workers have been brought in to help with completing the works Chilwell Road will open to the Hop Pole by the end of July and throughout by 4 August First tram tests on the line in Beeston early October Plan is to be open throughout on 14th December. The Guardian feature Beeston in its series. Read the positive review here. 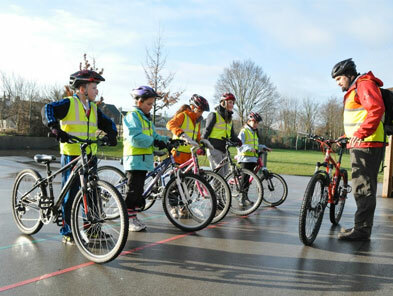 We have a host of cycling activities at this year's Beeston Festival. We are tying in with the start of the Tour de France right here in Leeds on 5 July. Right at the heart of the festival, close to the Main Stage you'll find the Cycle Try Out Zone. Get Cycling are bringing all sorts of bikes and for you to try out including tandems, penny farthings and disability bikes. 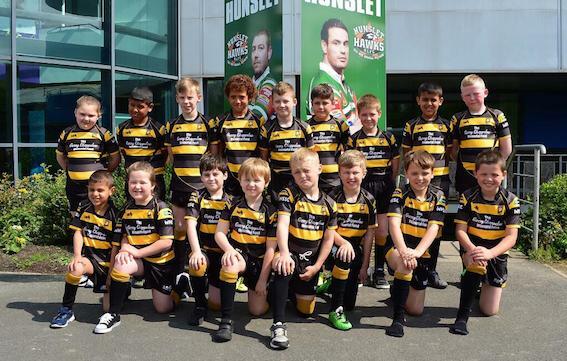 For the second year running Beeston Broncos Junior Rugby League Club will be taking part in the Festival. Their under 11s will be playing their Yorkshire Junior Rugby League fixture against Emley Moor under 11s, kicking off at 1pm at the bottom of the Park on the sports fields next to the Fun Fair. Theme: Architectural Britain – old and new. Please see Lucy Beardsley for more information and payment. Trip now full. There is a waiting list if you would like to join it. 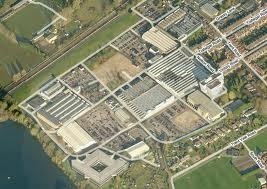 There will be many in Beeston who remember Swiss Mills only for the spectacular fire that destroyed it in 1984. It is those kind of events that stick in the collective memory - but that's a pity because its often the real story that is then forgotten. This is a quick update on my work since my last email newsletter. I am looking forward to Saturday's “Meet the Team” at the Cadland from 10am til 12noon. The weather forecast is good which might make up for the Bank Holiday though it didn't dampen too many spirits at the Greasley Gathering and other local events! We apologise to members that the booklet was not ready in time to be delivered with the Newsletter. The Booklets will be available shortly and we will endeavour to get them delivered to you as soon as possible. Booklets will be available from all local Libraries and will be available at The Hemlock Happening and Beeston Carnival.